More and more often smart health devices become necessary in people’s life. For example, fitness trackers belong to top fitness tech gadgets. These wearable guides assist and consult in sports and healthy life. Firstly, they monitor the range of daily activities. Then these items provide the information to the cell phone or tablet for further analysis. Of course, when choosing the best fitness trackers we focus on functionality and durability. However, their models and look are rather important too. Frequently, a lot of people prefer smart jewelry wearables for women that seem to be a nice fashion accessory. Definitely, it’s not easy to satisfy these demands. So high-tech companies and known jewelry brands have joined their efforts. Accordingly, they invented smart fitness trackers jewelry accessories. Now the market presents rings, bracelets, bands, watches with functions of cool fitness trackers. Below you’ll find the best representatives of the best fitness trackers jewelry. Such as Bellabeat Smart Jewelry Health Trackers, Swarovski Sport & Slake Activity Crystals and many others. They will make happy even the most capricious consumers. Have you ever heard about Bellabeat fitness accessories? This is is a company which combines the high-technology and beauty for people’s wellness. You could know it by Bellabeat Leaf, namely, the smart fitness trackers jewelry. In 2013 a Croatian mathematician Sandro Mur and Slovenian designer Urška Sršen founded this brand. And now about one million users monitor their activity with this health tracker. Moreover, they also enjoy an excellent design of this jewelry item. 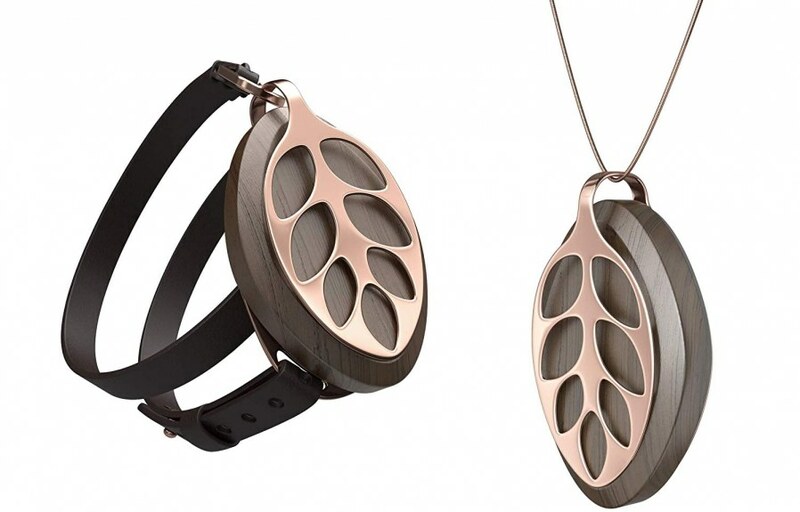 Bellabeat creates fitness trackers jewelry for women in the form of leaves. American white ash is the material for the base. Then it is covered by hypoallergenic stainless steel leaf. The steel can be finished with gold or silver. Any of their designs allows you to use this fitness tracker in the form of a bracelet, pendant, clip and even as a brooch. A slightly different in design the smart leaf fitness trackers jewelry has the same functions. Daily charging is not required. It works for a half of year with a special removable battery. The activity data is stored within 15 days. The total memory is enough for 2 weeks. Easy to coordinate these health tracking jewelry leaves to your cell phones or the other smart gadgets. Regularly updated special Bellabeat app will support the case functionality. Nowadays the manufacturer presents the following models at the market. To satisfy the demand in luxury viewed wellness devises the market offer a variety of amazing goods. One of them is the holder for fitness trackers jewelry pendant. Perfect quality and design is a great accessory that brings benefit and pleasure. Amazing and stylish fitness tracker necklace is a great holder for Misfit types. The manufacturer used hand-polished technology to present this stainless steel smart decoration. The pendant meets all your jewelry dreams. So, it is universal for all clothing styles. Place your favorite Misfit tracker inside. the necklace. Magnetic clips keep it safe. The user can adjust 18 inches chain length using 2 inches extender. 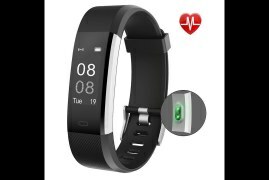 For your consideration, there are the other covers and holders to make the fitness activity tracker looks like elegant decoration which fit for all clothing and occasions. Please, pay attention to cheaper like jewelry pendant. This Culater® Necklace Stainless Steel Pendant is a holder for the fitness tracker. Enjoy your healthy and fashion lifestyle with a new trend for Misfit Shine 2 This stainless steel necklace will bring the new look for your fitness device. The colored crystals decorate the pendant. You can choose from red, pink, blue and yellow stones. Certainly, most of the people know the company Swarovski. The Austrian manufacturer of beautiful crystal jewelry began its way in 1895. The founder was Daniel Swarowski. Nowadays the company deals with a wide assortment of goods in a variety of fields. We would like to concentrate on Swarowski’s cooperation with Misfit. Innovative technology and luxury designing generated fitness trackers jewelry. The multifunctional Activity Crystal devices are also an excellent piece of jewelry. They look great at any time of the day and are suitable for any life situation. For instance, you can take on a portable bracelet for casual wearing including your workouts. However, you will get a lot of compliments with Swarovski Slake bracelet or Swarovski Vio Crystal Necklace during special events. The Swarovski Activity Crystal is a successful tandem of beauty and science. The bracelet with sparkling Swarovski crystals and a fitness tracker Misfit joined for your benefit. The gadget monitors daily activity. The owner sees spent calories and sleeping quality. It is easily synchronized with a cell phone. The user can set a wide range of fitness goals and keep a diary of proper daily nutrition. For sure, it’s super to share the results with your friends. You will always see your successes on the way to a healthy lifestyle and beauty. A battery powers the unit for more than 4 months. Double-clicking on the Shine button turns on the time function. The crystals containing the fitness trackers are water-protected. They keep the tightness to 50 meters depth. The main feature of this fitness trackers jewelry is the giant crystal. You can change your look wearing it as a bracelet or as a pendant. Swarovski Activity Crystal is slightly more expensive than the regular Misfit Flash tracker or the original Misfit Shine. However, it is not a surprise. In fact, Activity Crystals combine the most fashionable accessories and high-tech functionality. Bracelet length: 9 7/8 inches. Bracelet length: 14 1/8 inches. Polar Loop Crystal fitness tracker to some extent is a competitor for the already mentioned Swarovski Crystal Activity Bracelet. In spite of its high-tech style, it looks costly and gorgeously. Polar Loop Crystal is elegantly decorated with Swarovski® crystals. So, Polar Loop Crystal is a jewelry case but with intellectual potentials inside. The author of this smart beauty is the company Polar. Since 1977 they lead the prime position in fitness trackers and not only production. In other words, Polar has the experience to improve the skills of professional athletes. They also support you to choose a healthy lifestyle. No doubt, Polar is strong in rehabilitation and weight optimization. The Polar’s team understands your needs concerning the health approach. Accordingly, they did their best to present the goods which meet the highest level of fitness demand. So, they installed rather wide functions to this fitness tracker jewelry device. This smart and luxury wellness tool is able to track your daily activity, sleeping process and amount of calories burning. Moreover, it provides valuable advice and motivates the owner on how to achieve the goals. You will easily sync this bracelet with Polar Flow application. This web service provides extra workout routine, stimulus, and management. 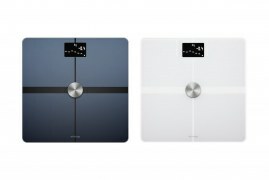 The Polar company can offer the other models connected with healthy lifestyle. These are a smart combination of watch and fitness tracker and heart rate monitor. They are not 100% jewelry items. But in any case, these clever things bring you esthetic pleasure as well. Pay your attention to their smart-watches and other healthy devices. You will find all the details and features information here. A kind of fitness jewelry is Evan Bangle. It’s the bracelet to cover Flex 2 fitness tracker. You’ll definitely buy it if you prefer to wear something elegant and cool. At the same time, you bring wellness to your body. So, secure and decorate your activity tracking device with this stylish bracelet. Magnetic closer will assist. For the others, it will be an elegant accessory acceptable for your different looks. The product is strong due to high-quality stainless steel. The colors to chose are golden, rosy golden and silver. The customer can find the right size among available S-XL. The bangle is visible all the time thanks to indicator lamps. So, you can follow your activity process without any problem. Is it possible to adjust the length? How to do it? You will get three extra links to regulate the length up to the wrist. It’s very simple, just add required links. The producer presents the items like unisex. Everything depends on taste and wrist size. Besides, they offer leather designed products as well. What about the vibrating reminder? Does it work with the bracelet? Can we swim with it? Absolutely yes, you will feel the signals of calls and reminders. Certainly, you can take it to the pool as the tracker is waterproof. Just check the safety of the closer. The collection of smart watches for health wellness is huge. But, your target is to find a reliable fitness supporter and a nice jewelry item. The Fitbit offers the Versa Watch models for you to boost the fitness progress. You can easily change their design by special metal band whit brings some luxury to your image. Rose gold and rhinestones increase your elegance and chic. Definitely, great item for a variety of clothing and occasions. The band is customized for the wrist from 5.3 inches up to 8.1 inches. Durable but light Zink alloy guarantees a long life of this changeable band. You can always add the other fitness trackers jewelry accessories to your collection. Is it easy to adjust the band by means of the links? Certainly, it’s an easy procedure. The producer supplies the small tool for resizing. And the pins are easy to move. Can I wear this band-bracelet in the pool? The Fitbit Versa itself is waterproof, so you can take to the pool. However, the chlorine water can spoil the plated metal finish. Can I wear it every day? For sure, you can. Personally, I prefer to wear it for more formal occasions. So take it on not so often keep it safe. A perfect ratio of high-tech, wellness, and luxury. The elegant and classic watch is able to track your health activity by means of sync to the app on the cell phone. It’s a nice assistant to monitor sleeping, with a delicate vibration alarm. It will show you the distance, steps and the calories you spent. These are practically equal features with Bellabeat’s smart fitness trackers jewelry Leaves. The rose gold in color with a variety of interchangeable bands the watch will be your best choice. American designer Tory Burch created an amazing holder for the fitness trackers jewelry look. As a result, we’ve got a combination of high functionality and aesthetic beauty. The products satisfy even the refined taste. It is a simple but elegant double wrap leather strap. It has a carved metallic decorative place for the Fitbit fitness tracker. Usually, the metallic part has three colors of finishing. As a rule, it is silver, gold and rose gold. Universal accessory for casual and formal clothes. As an option, Tory Burch produces the same holder like a pendant on a chain and a bracelet on his hand. Fitbit tracker you need to buy separately. Let us remind that Fitbit device is the monitor of daily activity. It also calculates the number of steps and spent calories. Besides, it analyzes the quality of sleep. All data synchronizes via the mobile application and the Fitbit website by a smartphone, tablet or PC. This bracelet – a cover is the result of the exclusive cooperation between Tory Burch® and Fitbit. Surely, it will bring more beauty to your look and wellness to life. The metallic, silver or golden finishing is available. You can adjust the length. The Fitbit tracker is safe due to reliable hinged closer. It is easy to put on, secure the clasp and remove. Many known companies devoted their business experience to combine techs and beauty for health. Nokia Health is now the Withings Nokia. Their team created the line of smart-watches which became a real unit of watch tracker and stylish accessories. These fitness trackers’ look is refined and elegant. Firstly this tracking watch for women looks neatly and modesty. However, the model contains a standard set of all the fitness trackers functions. The watch informs about ten activities including walking, running, swimming, distance and burned calories. Besides, it monitors the sleeping and has a vibration alarm option. By means of Bluetooth 4.0, you are able easily to transfer the information from the tracker to the cell phone. Additionally, this smart fitness watch syncs to the Health Mate app. So, you’ll get the advantages of personal coaches and other useful things. The model is waterproof. It’s no problem to swim, shower or does water fitness workout with Steel You do not need to charge the unit. One battery works up to 8 months. The producer uses only perfect material like stainless steel and chrome. The band is made of durable silicone so that the sports bracelet is securely fixed on your hand. The design makes this jewelry fitness tracker suitable to wear it for training, casual and special occasions. You can always customize the band to your choice. What is the face crystal made of? The producer confirms that the watch face is made of a durable scratch resistant mineral glass. Are there Nokia watch with heart rate monitoring? This model Steel Activity&Sleep watch shows HR only in the mobile application. But the manufacturer offers the other models which monitor the heart rate. It’s Steel HR Hybrid Smartwatch. You can find the other models on the market as well. Skagen presents the other model of beautiful watch and activity fitness tracker. Skagen Hald Gray Leather Hybrid Smart Watch is luxury designed for her healthy life. The device set the time and date automatically. As a smart fitness item it tracks the distance, steps, and calories you burn every day. Additionally, it monitors the sleeping process. Besides, the user gets the notifications connected with the mobile phone. You will know about new calls, messages, emails. It fits for Android and iOS and Skagen application. The device constantly supports you due to the long life battery. You do not need to change approx half a year. Besides, watch-tracker is water resistant. How does this watch notify the call or email? The watch vibrates to inform about the call. Minute hand will move to the number from 1 to 6. These numbers are the top callers you set earlier. You can also press the side button and see the last call or message. Does it provide calendar notification? The Motive ring is the idea which became the reality. The team of enthusiasts created small, lightweight but functional fitness tracker that could make life healthier and more beautiful. Their wearable fitness device is the superb combination of health and fashion accessory. This reliable smart jewelry item won’t spoil any personal style. In other words, this elegant and fine design fits all clothing. Putting the tracking ring on the finger you free the wrist for a watch or bracelet. Durable titanium is the material for this smart item. So, it is strong but light. Do I need to keep my phone close to the ring? For instance, I am not able to take my phone on work or when I running or swimming. Does it keep the information for 8 hours? It’s not necessary to have the cell phone with you to compute the activity information. The ring saves the data for 5 days. What finger is the best to wear this ring? Does it influence on track? I wear size 6 for the rings. Does 6 size of Motiv ring fit me? There seven Motiv Ring sizes. The smallest one is 6. However, the sensors inside can differ the regular sizes. Firstly, the manufacturer offers to try with a special sizing kit to define the right item. They can deliver it within one working day. You will get the samples of seven sizes and instructions on how to find yours. This useful bottled knows how much water you need daily. It reminds you that it’s high time to add some water to the body. You can sync it to Bellabeat app. Then just shake the bottle left-to-right to learn the water intake routine. Rubber wraps prevent breaking. Does the order include the leather bracelet? Certainly, yes it does. The leather bracelet and a silver chain complete the Leaf tracker. The Bellabeat team looks for the ideas in new materials for bracelets. What is the main difference in Leaf products and Fitbit trackers? Actually, there are two points that vary these types of fitness and activity trackers. They have different functionality and design. All Bellabeat wellness units look like jewelry accessories. So, it’s difficult to recognize fitness trackers inside them. Secondly, the Leaf smart monitors software is able to track the women health. Accordingly these clever gadgets control female monthly cycles. Does the Leaf device track the Heart Rating? you for your question! We are currently judges to add heart rate options in new models their goods. Do these healthy trackers count the calories and uncover the metabolism? The leaves and time trackers analyze burned calories. They do not evaluate calorie consumption and metabolic level. You can control weekly results of the total activity, walking distance and steps amount. to miss an important call or message. The variety of brands and models are impressive. We discover you some smart fitness trackers jewelry products. All these new items are exclusive in their design. They are useful in everyday life and fit for special events too. Besides their healthy features, they will help the owners to be in fashion trend. Thanks to the creative work of designers and high -tech companies you always find the best suitable fitness tracker to your taste and style. Hello! Recently I’ve bought fitness tracker for Mira fitness trackers jewelry accessory. Why do I choose this brand? The company Mirafit is the supplier of different sports equipment. Their product list includes a functional, stylish and beautiful fitness gadget. This smart women fitness tracker will guide you into a healthier life. Besides, it will become a modern accessory fit for all the wearing. distance measurement for the day. The Mira Fitness sports tracker is equipped with a motivating program. Time to time encouraging messages and pictures appear on the display. It’s a cool booster and reminder to visit the gym or to do some exercises. A free Mira application is available to sync with for various personal projects. It matches with iOS and Android. One charge is enough for 5 days. This item has the models with three diameter sizes, petite 2 inches, small 2.2 inches, and medium 2.5 inches. The stainless steel bracelet has five color options. Due to its elegant design, Mira fitness tracker looks very harmonious as a separate decoration. However, you can take it on with the set of other bracelets. The owner is able to wear the device like a bracelet, clip or just put it into the pocket.